Need help creating lessons or unit plans for your world language classroom? 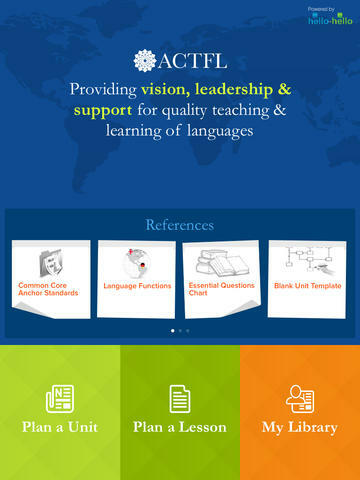 Look no further, the American Council on the Teaching of Foreign Languages, has created an app to help teachers effectively create lessons and units that are aligned to common core and world-readiness standards for learning languages. Click on the image below to access the site to the application.